Shmaltz Brewing Co. in Clifton Park is expanding this year, with plans in the works to establish an official tasting room in Troy, as well as create new beer brands. Jeremy Cowan started the company in San Francisco. In 1996, he was driving around in his grandmother’s car in Northern California, delivering cases of beer. The company has come a long way since then. Cowan moved to New York City and established the Clifton Park brewery in 2013. “Our goal is to make high-end beers that are fun, based on a concept, and that don’t fit into traditional beer styles,” said Cowan. Shmaltz Brewing is best known for its He’brew beer, the line first created by Cowan. 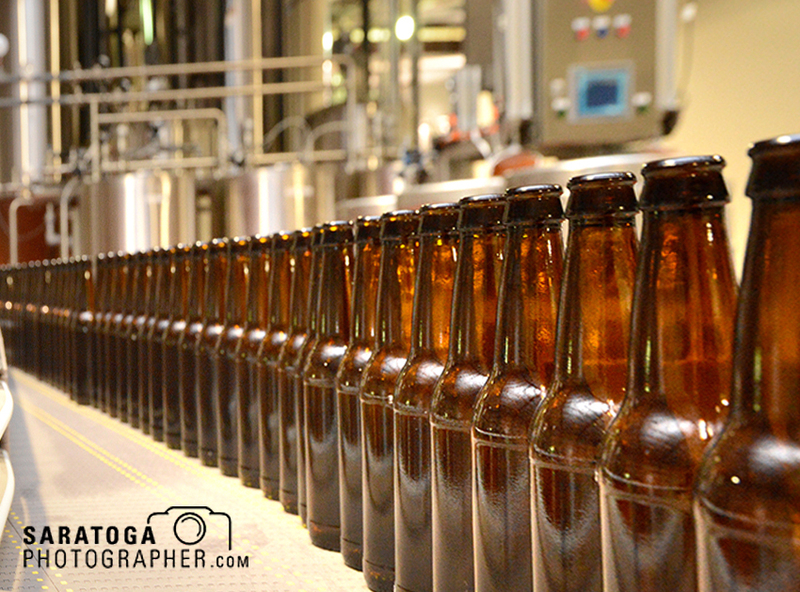 Today, He’brew is sold in 35 states across the country, in 5,000 retail locations, according to the company. The company is known for its beer names, inspired by Jewish themes, as well as unique flavors. Customers can choose from the Hop Manna IPA; the Messiah nut brown ale; the Jewbelation anniversary ale; a Pastrami Pilsner, brewed with kosher salt, cracked pepper, natural horseradish and mustard seed; and Chanukah golden ale, brewed with cocoa nibs. Steve “Sully” Sullivan, left, owner of the Olde Bryan Inn and Longfellows Inn & Conference Center, receives the inaugural Joseph Dalton Community Service Award from Dalton. The Saratoga County Chamber of Commerce celebrated its 100th anniversary in January by announcing the creation of the Joseph Dalton Community Service Award and by presenting this first-ever award to Steve “Sully” Sullivan, the owner of the Olde Bryan Inn and Longfellows Inn & Conference Center. The event was attended by 950 people. Joe Dalton was the president of the Chamber for 40-years, from 1970 to 2010. 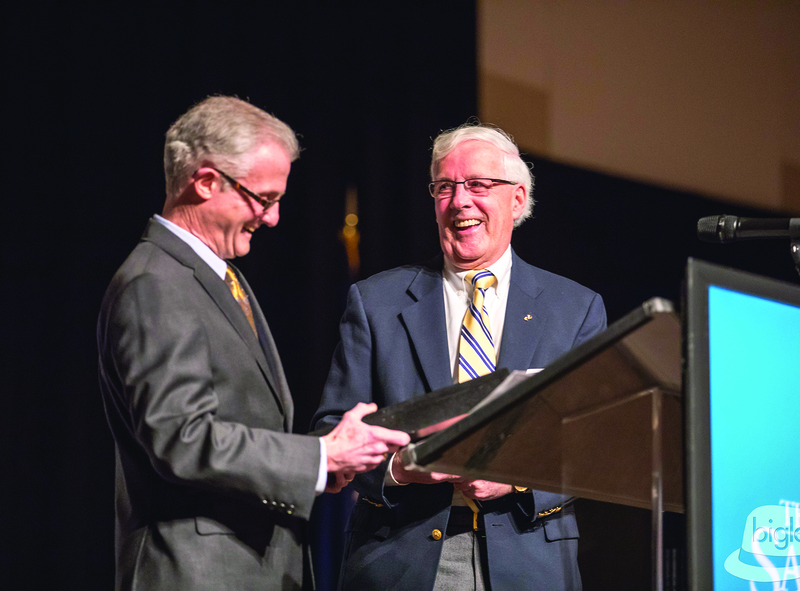 The Chamber, during Dalton’s tenure, was instrumental in creating and implementing the City of Saratoga Springs’ Plan of Action that has revitalized downtown Saratoga Springs, officials said. Dalton worked closely with Ed Lewi Associates and NYRA to rebuild interest and hike attendance numbers at Saratoga Race Course. The Chamber also played key roles in the creation of the Saratoga Economic Development Corp., the Luther Forest Tech Park and the Saratoga Convention and Tourism Bureau. The Chamber also offered a free weekend respite to first-responders and their families after 9/11. Sullivan first came to Saratoga Springs from Boston in 1974 to attend Skidmore College. To get himself through college, he waited tables at Lillian’s restaurant, tended bar at Harold J’s, and washed dishes at other restaurants. After college during a visit back to the city, he was hired to wait tables at the Olde Bryan Inn, rising to partner in 1981. Attendees browse exhinits at last year’s Rotary Club Home & Lifestyle Show. 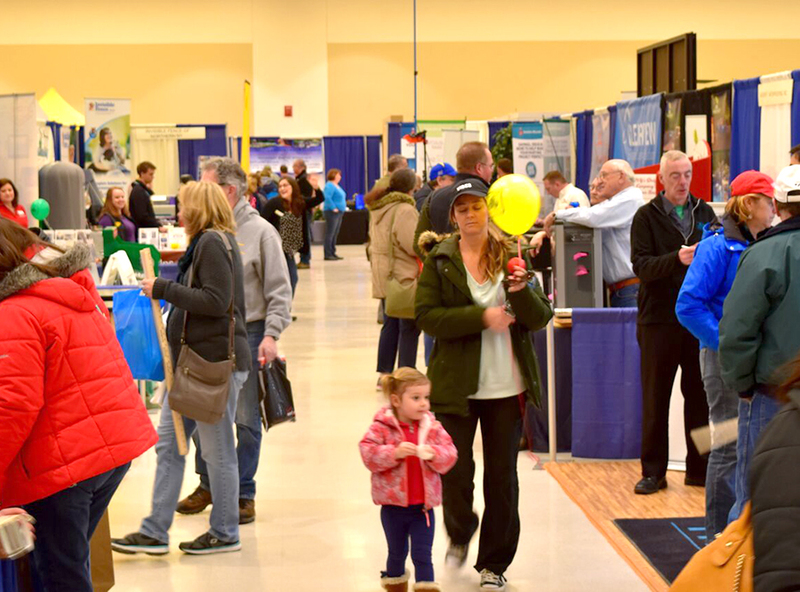 The Saratoga Home & Lifestyle Show, the Saratoga Springs Rotary Club’s largest annual fundraiser since 1973, will take place March 2-4 at the Saratoga Springs City Center. Admission is free of charge, courtesy of the show’s major sponsor, Adirondack Trust Co. The Rotary Club will be accepting voluntary cash and coin donations to benefit Franklin Community Center, a local non-profit organization. The show will be open Friday, March 2, 5-9 p.m.; Saturday, March 3, 9 a.m. to 7 p.m.; and Sunday, March 4, 10 a.m. to 4 p.m. The home show, now in its 45th year, features 120 regional exhibitors showcasing a wide range of home improvement services, décor and furnishings, energy-saving products, outdoor living and landscaping, family recreation, and lifestyle products and services, as well as prizes. On the center’s second floor, a fine arts and crafts event showcases artisans such painters, photographers, wood crafters, jewelers, and a winery, all with items for sale. Also on display will be artwork from Saratoga Springs High School students. Chris Meyer is an attorney with Whiteman, Osterman & Hanna. 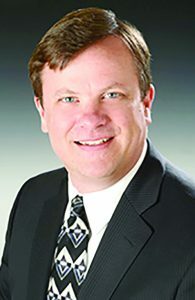 The new chairman of the Chamber of Southern Saratoga County board of directors says the organization is moving forward with initiatives to train local entrepreneurs, spur business growth, energize area events, connect local businesses, and support regional development. 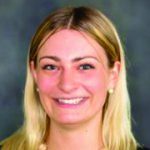 Chris Meyer, an attorney with Whiteman, Osterman & Hanna, succeeds Jenifer Marten as board chairman. In 2017, working with the Saratoga Community Development Foundation, the Chamber assisted the city of Mechanicville in building a new gazebo in Tallmadge Park. Chamber volunteers kept Historic Lock 19 in Vischer Ferry ready for tourists and developed a downtown map for Schuylerville businesses. 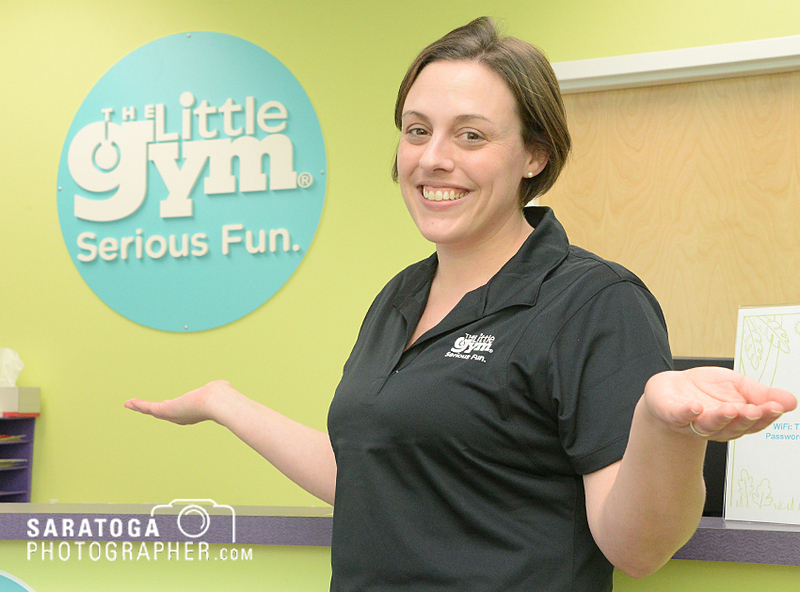 Kathryn Pellett opened The Little Gym of Saratoga at 2110 Ellsworth Boulevard in Malta, offering a fun and educational program for children that can help them get stronger, and build confidence. Pellett, a mother of four young children, first experienced The Little Gym when she enrolled one of her sons at a facility in Loudenville, which was the closest location to her at the time. Though she was initially concerned about how the instructors would respond to her son’s autism and speech disorder, from the beginning she said she was put at ease. The instructors accommodated her son’s needs, allowing him to learn on his own terms. At first, her son preferred to watch the classes from the side. At home, he would demonstrate the moves he’d learned from watching. Eventually, he developed friendships with the other children, and began to actively participate in lessons. After seeing the positive effects The Little Gym had on her son, Pellett decided to bring the system to families in the Saratoga area. Olivia Huffman is the newest addition to Keller Williams Capital Region in the office in downtown Saratoga Springs. Prior to her move to Keller Williams, Huffman worked for a year and a half with Amy Sutton and Gerard Wise at Roohan Realty. In her time at Roohan, she executed over $500,000 in commercial sales and leases, including offices, retail, property management, land for development, and storage, the company said. She also created a monthly architectural blog on unique buildings in Saratoga Springs, with professor James Kettlewell. She will continue this effort at Keller Williams. The Adelphi Hotel has hired Connie Cook-Slocum, a hotel professional with over 19 years of experience, as the new director of event sales. Prior to starting with The Adelphi Hotel, Cook-Slocum was director of catering sales at the Desmond Hotel. She was the previously off-premise catering sales director at Mazzone Hospitality. Kevin Hedley is board chairman for the Saratoga Prosperity Partnership. 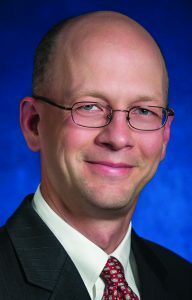 The Saratoga County Prosperity Partnership announced that Kevin M. Hedley, MS, CPA, PFS, founder and partner of Hedley & Co. Certified Public Accountants, will serve as its new board of directors chairman. Other board officers are Brendan Chudy, director of the legal department at GlobalFoundries, as vice chairman; and Rita Cox, founder of Cox Marketing Solutions, secretary. Arthur Johnson, supervisor of the town of Wilton, will continue to serve as treasurer. A private-sector business owner for nearly two decades in Clifton Park, Hedley has served on the Saratoga Partnership board since the agency was created in 2014. As chairman, he succeeds Jack Lawler, supervisor of the town of Waterford, who remains a board member. In his new role, he will be working collaboratively with economic development groups throughout the county to build an environment to attract jobs, companies and investment, and enhancing the quality of life in Saratoga County. Gov. Andrew M. Cuomo’s fiscal year 2019 budget includes a proposal to create a license for farm meaderies, a new license similar to those already available to farm wineries, breweries, distilleries and cideries. Mead, commonly referred to as “honey wine” is an alcoholic beverage that is created by fermenting honey with water, which can be infused with fruits, spices, herbs and flowers. The farm meadery license will authorize the establishment and licensure of farm meaderies for the manufacture and sale of mead made from New York state produced honey. The provision also allows farm meaderies to produce “braggot,” a malt beverage made from honey, in addition to malt, hops, fruits, spices, herbs and other agricultural products. In order to obtain a farm meadery license, the mead or braggot must be made exclusively from honey produced in New York state and no more than 250,000 gallons may be produced annually. Farm meaderies will be allowed to sell by the glass, offer tastings of, and sell to go not only mead and braggot, but also any state farm-produced beer, wine, cider and spirits. SUNY Empire State College President Merodie A. Hancock and U.S. Navy Commander Judd Krier cut a ceremonial ribbon opening the national testing center at the college. SUNY Empire State College’s location at 113 West Ave., Saratoga Springs, has been designated as an official national testing center for The Defense Activity for Non-Traditional Education Support (DANTES) and DSST Standardized Exams. 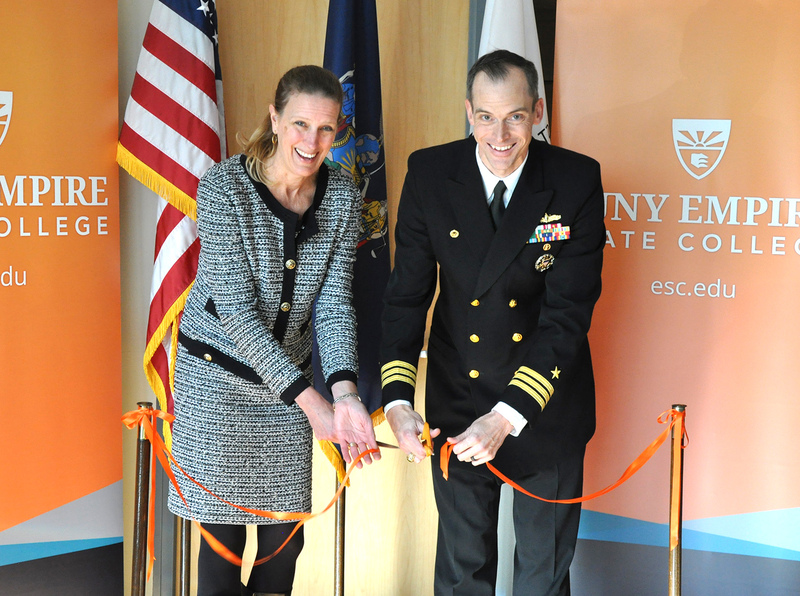 U.S. Navy Commander Judd Krier, commanding officer of the Naval Nuclear Power Training Unit (NPTU) in Ballston Spa, and Merodie A. Hancock, president of SUNY Empire, cut a ceremonial ribbon to mark the occasion. Krier said that staff at NTPU researched how to provide better opportunities for the sailors to take DANTES and DSST exams and contacted SUNY Empire State College’s Office of Veteran and Military Education, which led to the college’s designation as a national testing center. SUNY Empire State College already accepts college credit for successful completion of DANTES and DSST Standardized Exams. However, sailors stationed at NPTU had to travel outside the area to take these exams, which, Krier said, presents a significant challenge. 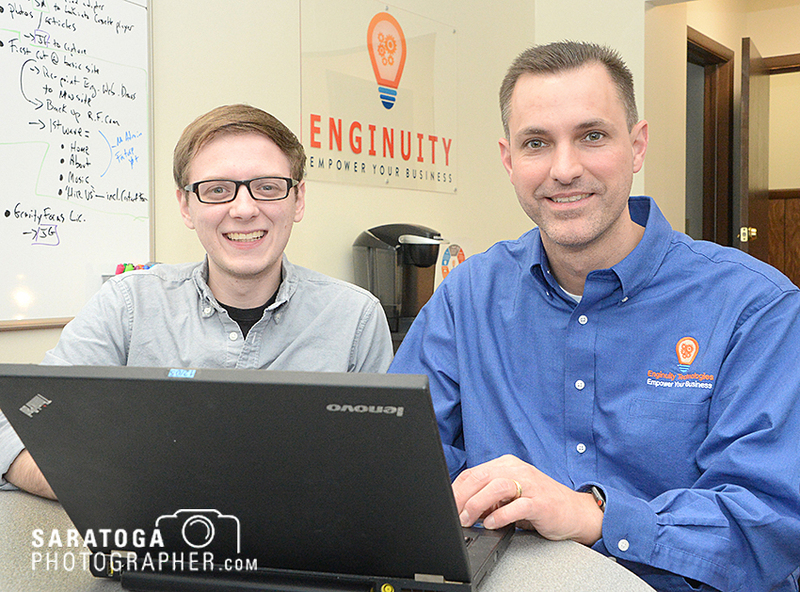 Jayson Greco, right, former chief technology officer for Ayco in Saratoga Springs, started Enginuity Technologies. he poses with Scott Marcella at the Van Dam Street office. Jayson Greco, former chief technology officer for Ayco in Saratoga Springs, has started a company to provide information technology services for small businesses. Enginuity Technologies offers a range of services from a basic consultation to full management of a company’s IT structure. Greco has some 20 years of experience in the field. “This is something I’ve wanted to do for several years,” he said. Over time, he has done side projects of his own, but this is the first time solo business venture. He will work out of an office building at 77 Van Dam St., Saratoga Springs, near the hospital. There is a small window in front but, so far, the only sign is in the building lobby. The decor is “modern, clean, with artwork representing things important to me, he said.